Owing to the structure and climate of the island, fertile soils are rare in Newfoundland . The glacial till which covers the island is poor in plant food, while the bleak climate results in soils marked by an absence of bacteria and worms which are necessary to break down such humus as may be present. Only by a lengthy process of manuring can the soils be improved; hence there are no extensive croplands, but only small patches. There are said to be only 4,000 farmers (2,809 in 1945 out of a total population of 322,000), and they cultivate less than half of one per cent of the total area. However, almost every fisherman has a small garden, where potatoes and other vegetables are grown, and so about 40,000 people help to produce the food of the population. The chief farms, naturally, are close to the larger centres of population. Thus there are many farms on the Avalon peninsula, near St. John's, and small areas of a few acres each are to be found near Bishop's Falls and Grand Falls. In the far south-west corner, along the Codroy valley, is the largest area devoted to farms. Here soils and summer temperatures are more favourable than in most parts of the island. Hay, potatoes, oats, and buckwheat are the chief crops. Much of the hay is sold as feed for horses that are used in the woods by logging companies. Some produce is sold and much more could be sold profitably to the settlement of Port aux Basques nearby, since it, as all other large settlements, has to import almost all foodstuffs except potatoes and codfish. At some farms along Deer lake , maize and pumpkins usually ripen, but such crops are exceptional. To the north-west near Deer lake are many clearings in the forest, made after soil surveys by the government, and here it is hoped that farmers will settle and grow crops while earning wages through part of the year by cutting timber for the paper mills. 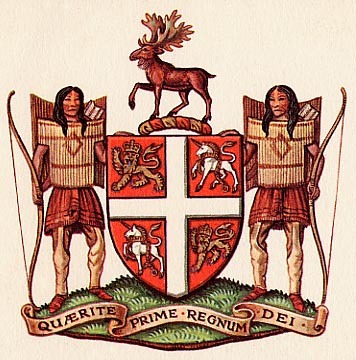 Source: W. Stewart WALLACE, ed., The Encyclopedia of Canada. 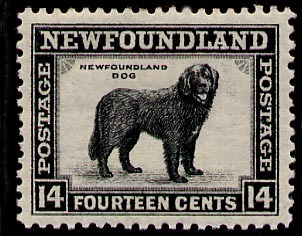 Newfoundland Supplement, Toronto, University Associates of Canada, 1949, 104p., pp. 1.